﻿ Discover Scuba Diving in Protaras. First Time Diving Made Easy and FUN. Cards, flowers, or something with a personal touch? Padi Scuba for a gift? Have you ever wondered what it’s like to breathe underwater? PADI Discover Scuba Diving If you want to find out but aren’t quite ready to take the plunge into a diver certification course, Padi Discover Scuba Diving will let you try scuba to see if you like it. Easy Divers in Protaras, will take you on a unforgettable scuba adventure, giving you the scuba bug leaving you will just want more! While this is not an actual scuba certification, during the Discover Diving experience you’ll learn how to use scuba equipment in shallow water and get a quick and easy introduction to what it takes to explore the underwater world. Things to do in Protaras? There is nothing like breathing underwater for the very first time. It takes a little getting used to after all, human beings weren’t designed to do that – but after a few minutes of awestruck wonder, most participants realize how easy scuba diving really is. The fun part? It’s all fun! Plus, you can get credit for the dive you do! If your Discover Scuba program includes an actual scuba dive in open water, your experience may count toward PADI Scuba Diver or PADI Open Water Diver certification courses, putting you a step ahead of the game when you decide to go for it and become a Padi Certified Diver. The course teaches you the basics you need to dive under the direct supervision of a PADI Professional. One thing you’ll learn is that you really can breathe underwater and whether you like doing that or not. You will: Learn what wearing scuba equipment feels like and how easy it is to move around underwater while wearing scuba gear. All the scuba equipment you will need is typically included in a Discover Scuba Diving experience. You’ll use all the basic scuba gear including a mask , snorkel and fins, a buoyancy compensating jacket that also carries your scuba tank, a scuba regulator to breathe from and instrumentation to monitor depth and air supply during the dive. You might also wear a scuba wetsuit or a weight system depending on where you do your Discover Scuba Diving. Ask our dive shop or our Padi instructors about the Discover Scuba Diving scuba equipment you’ll use during your dive. Kids love the water and to learn scuba diving. If your children are younger than 10 years old Padi Bubblemaker is a great alternative and they will dive in the sea. Contact Easy Divers and we will send you all the detail and send you an itinerary of the discover scuba diving for you. 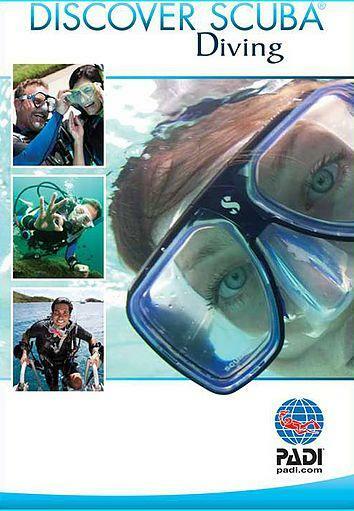 The Padi Discover Scuba Diving cost is €65. This includes the tuition rental of equipment and one dive.